In the summer of 2018, I embarked on a homework assignment to understand and acquire a folding bicycle. 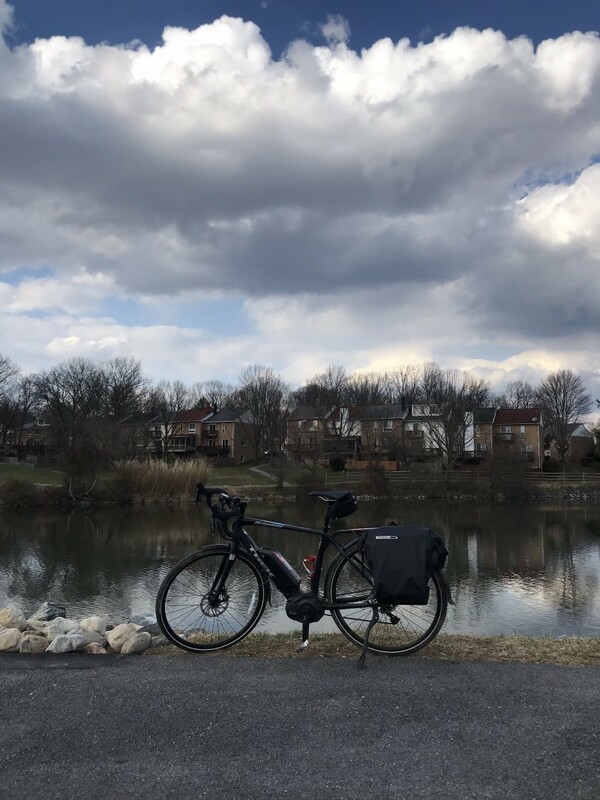 After several months of homework, and probably too itchy of a trigger finger, I’d not only purchased the bike, but also kindled a hobbyist level of interest in folding and ebikes that hasn’t been so easy to quench. Since then, I’ve dipped a toe into following the conversations around transportation advocacy, non-sport-style cycling stories, and micromobility. The effect has been a wide and deep opening into a space that very nicely intersects with the experience design space which is my profession, and the connected technology spaces which is my hobby. Of note, electric bicycles (ebikes) have struck a particular chord. Perhaps, it’s because I’ve been slower than usual at doing the maintenance to my Miata. Maybe it’s because of a realization of a much better mental state because of semi-regular riding. Or maybe it’s because ebikes are a gadget also — one which extends our human abilities while not necessarily constraining it to someone else’s definition of travel and contentment. The exploration into ebikes has kindled something similar to mobile devices, automobiles, and art for me — a canvas where there are so many people at the same time using the same ingredients, but coming to vastly different dishes. My browser has a few tabs open to several ebike vendors. One of which I really want, a few other solid alternates. At one point, there were at least a dozen pages open. Between reviews, tweets, photo galleries, and videos, I’ve sucked in a lot of information. A lot. I’ve also seen no one with my context talking about the effect of an ebike: black, single without kids, one car, located in a metro area but not near consistent-enough, off-peak public transit; who travels either no miles or over 20mi to various spaces. My context is one where a car doesn’t just make sense, it is the only common sense prospect. But, I’d like to ride more. I’d like to let the car be used for the time-lessened trips. I’d like to push out to Baltimore and DC (am equidistant from both) safely and without tiredness or danger bracketing the journey. My context is a challenging one — to fit a bicycle into a space right at the edge of its assumed usefulness. That’s what’s led me to this point. 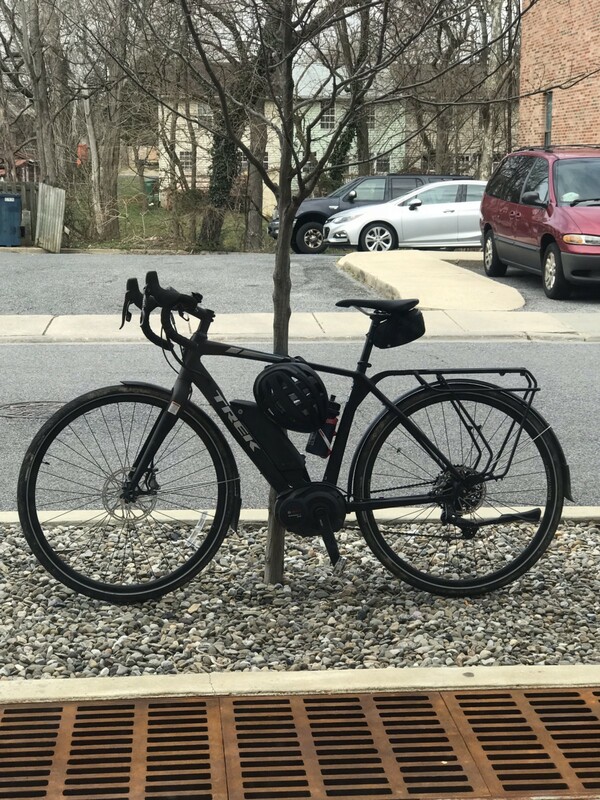 I finally took up my local bike shop (Race Pace Bicycles Columbia) on the chance to rent an eBike. I’m not near a purchase financially, but I am nearing that point in a decision process where I need to test the livability. I called them after the first very warm days of March and asked what they had available. The Trek CrossRip+ was the only one on deck. This is a road — going bicycle. It’s usable as a commuter bicycle, but it’s shaped for road rides. Am not interested in distinctions as much as I am in just getting on those electrified pedals and making sense of the homework done. So, dialed up a Lyft and made my way there to pick up the CrossRip+. When you look at the CrossRip+ it won’t seem initially like an eBike — that is until you notice the battery on the downtube. It’s not small, and it breaks with the other, familiar, lines of the CR+. The tires are larger than my road bike’s (these are 38mm wide, my road bike is at 27mm). The included fenders are integrated nicely, and almost unnoticeable (same can’t exactly be said for my hybrid bicycle which just received similar fenders a week earlier). There’s a rack on the back (similar to my folding bike), but this one is removable via a few screws. And integrated lighting front and rear (very nicely done I might add). 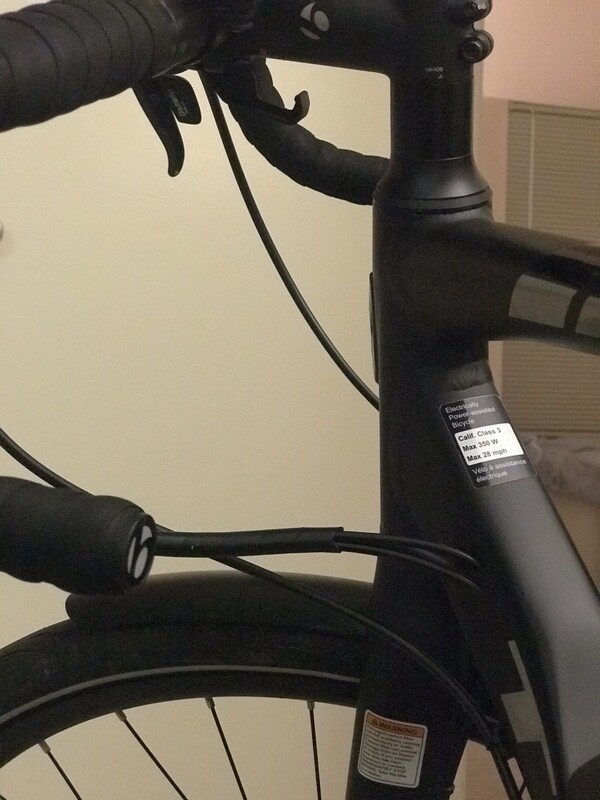 You might notice how thick the area of the bike is where the pedals/arms connect to the frame. This is the Bosh Performance Motor. Don’t expect me to quote specs here, the numbers don’t matter as much as the experience. Ability and accessibility matters — and this motor is plenty of both. You see, this electric motor is only activated when you pedal. There isn’t a throttle as with some ebikes or even a moped. And as a matter of legality, there’s only pedal assistance provided up to 28mph. After that, USA regulations mean this needs to cut off, else you’d need a license, plates, helmet, and insurance to ride. You can get up to and past 28mph (soon as that speedometer hit 29mph, the weight of the CR+ kicked right on in). You will get over 20mph before you know it. 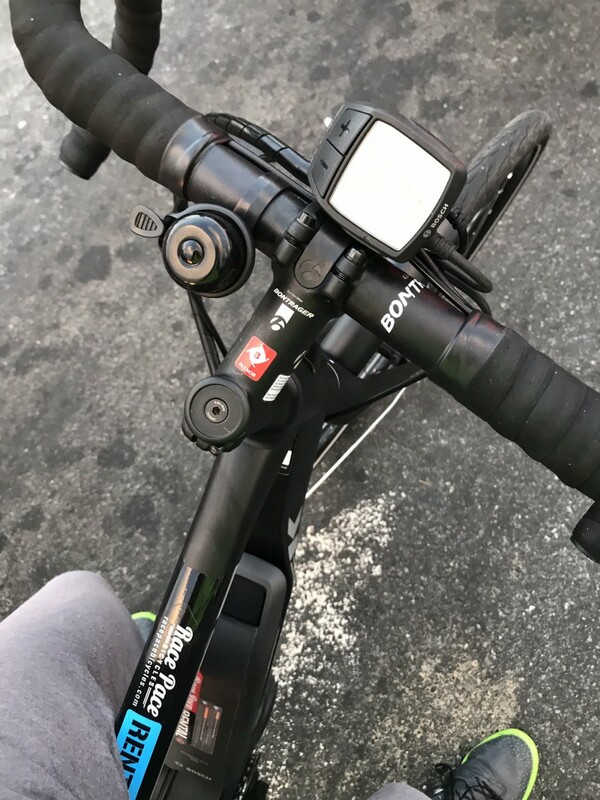 I’ll cruse with my road bike around 15–17mph, the extra 3mph is very noticeable, especially in how fast you get to that speed. The first major ride was for 40 miles. The weather was sunny, however quite windy. There were crosswinds of over 15 mph; and gust of at least 25mph. Honestly, these were the kind of days where I would probably not ride at all. And if I did, the most I would do would be about 10–15 miles, likely 10. The strain on the legs and lungs from just fighting headwinds, even if buffered by trees, would have been too much. I planned for 30. I was surprised at what the CR+ enabled. Out of the gate, the CR+ proved to be a decent match for the hills and wind. I set the assistance to Touring and pretty much left it there for all but a couple of miles (Turbo — on a hill and straight is amazing). The CR+ just settled in. I found that the sensors used to understand the level of torque I’m putting to the pedals worked best if I kept a smooth and leisuly cadence. Even with the change in intensity because of hills and wind, I could keep the same pedal cadence and just kept rolling. 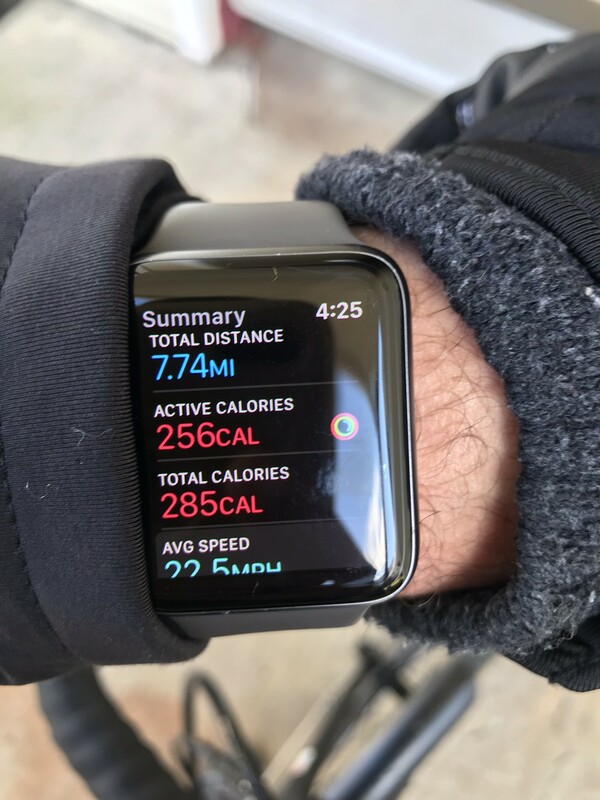 At my checkpoint, 14mi into the ride, I looked at my Apple Watch — I’d been averaging just under 17mph, and wasn’t even on the road an hour. I didn’t feel like it. Felt more like 4–5mi; and no strain from pedaling or the wind. I kept going. On those “feel good” days, I’d turn further south and take the Anacostia Trail down to Bladensburg. That became the case this day. It was clear what the CR+ was doing well. It felt like my road bike, despite being about twice as heavy. It soaked up the minor road bumps with no problem. And aside from being nearly pushed aside with the aforementioned crosswinds, the seat was stable and mostly comfy. I could have done with a 58cm frame size instead of the 55cm; but knees and back weren’t feeling bad at all. And my pace, still leisurely, was much faster than with my road bike on the same ride. 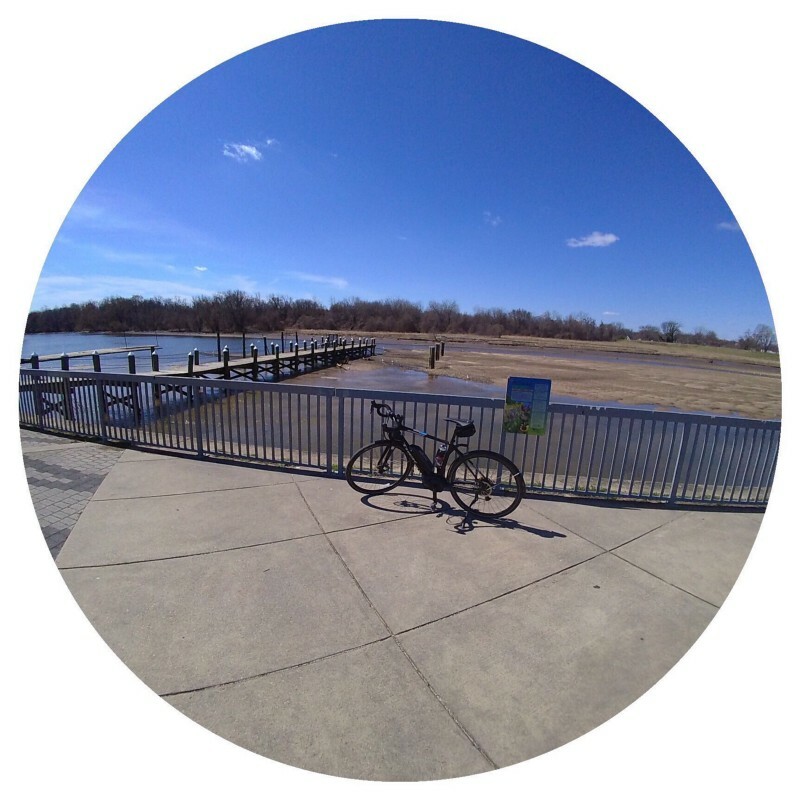 Stopping at the Bladensburg Waterfront for a break, was asked a few questions about the rental (costs, how long, etc. ), and the comfort of the CR+. Then when the couple mentioned their pacing, that’s when it hit just how decent the CR+ has been doing. I knew I was faster, but when solid riders tell you their speed and pace on a day like this, it shows the value of the pedal-assisted ebike. My heart rate was clearly up, but not so much that I had to opt out of keeping the same pace. That break might have sold them on trying an eBike soon (Race Pace gets that recommendation). The way home was a bit more challenging. Riding more into the wind, I was interested at how the battery would fare. This wasn’t a fresh battery due it being a rental. I was about halfway thru according to the meter on the CR+’s heads up display unit. Certainly nice to see the clarity from the LED screen there. The buttons for adjusting the assistance were tough to navigate — they needed to be pressed in a specific spot to register. But, with gloves on that wasn’t as hard as with gloves off/fingerless gloves. Keeping the assistance on Touring, I made my way back home. And it was at mile 30, where the CR+ (and really any eBike) provided another positive point — I wasn’t tired. Instead of planning for recovery lunch, naps, and dinner, I was thinking of where else to go once I do eat and nap. Grabbing a burrito on the way was certainly an idea, but the “it won’t wake you long to get to the burrito spot even if you wait till later” was the louder thought. There was a hill I often died on (cyclists call it “bonking”). It was there I put the CR+ into Turbo and went for it. You know something? Trek made it so that Turbo wants you to go no slower than 26mph. Headwind or not, this was exciting. It wasn’t simply now a thought of biking anywhere, but the time and energy saved because I got there fast enough. My mind changes with this kind of power on tap. This is where ebikes can make sense for those folks who have transit/commute options, but the usual tropes of fitness or environment might not check the box as hard. I’m plotting on a similar kind of ride for Sunday. Not as far, but definitely one where the CR+ might prove again the value of what changes when the bicycle is fast enough. Until then, I’ve set the battery on the charger — it was down to one bar after that 40mi jaunt. Feels like I could have gotten another 10 out of it if I wanted. But, I’ve learned to not spend all of my legs’ excitement at once. Recovery for the battery and for myself and see what the next day brings. And if the moment allows, shift my thinking a bit more. That’s what the CR+ does; that’s what ebikes do. The plans shifted as I awoke on the second full day of this rental. 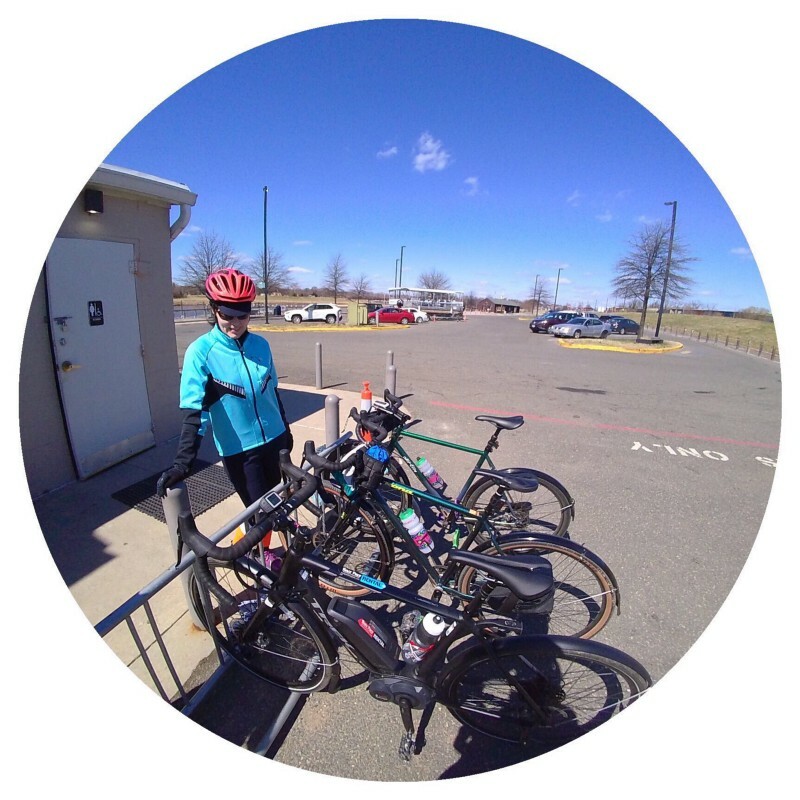 Partially because I’d biked enough the day before that my Oura Ring and body said to chill out, and also because there were some deliverables on deck which needed more time than a ride or a drive could delay. So, the plan was simple — rest until I couldn’t, then go to the cafe to get that work done. The CR+ was reconfigured with the rear rack (I took it off for the previous day’s ride) and a single pannier (bicycle bag which hooks onto the rack), and I got on the road. For the ride, I took the same route as if driven (6mi). This route has a long straight in one section — which meant some ample use of the Turbo mode — and a bit more attention to aspects like road stability. Sport and Turbo mode are addictive with an eBike like the CrossRip+. The feeling that this is a road bike showed well here. That said, Sport mode isn’t really a walk in the park. 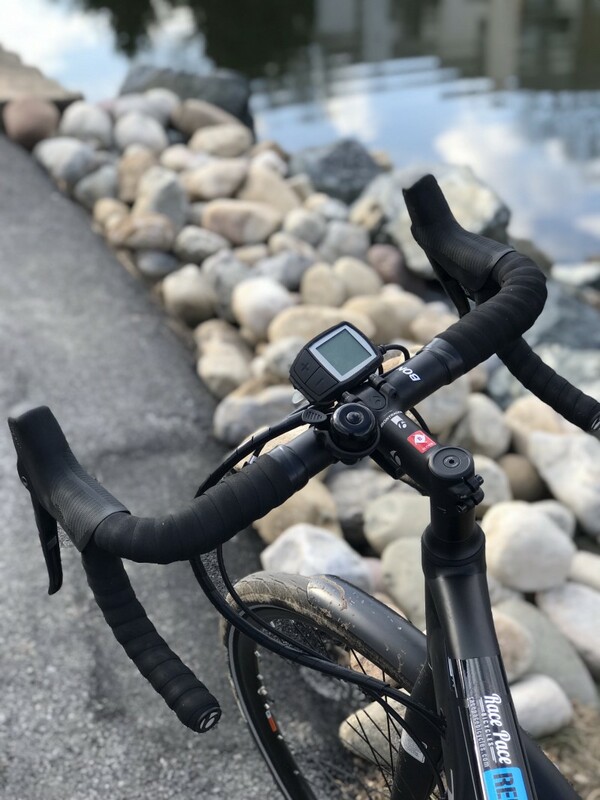 Whereas in Tour mode, I could keep a leisurely pace on the pedals, with Sport you are made to push if you want to keep that speed up (21–23mph). Felt like Turbo was even harder on the push, 26mph minimum. That was a lot of pushing the pedals. There was a headwind, yet there was also me faster than it pushing against me. The CR+ was quite impressive in this context. Taking the extended route back (a little over 7mi) landed a bit of another surprise. Besides the speed, there’s a growing understanding of how to use the speed modes. Using Sport or Turbo on hills feels like cheating, but then you aren’t winded near the top. I kind of wish gearing was a bit more automatic (memories of the AutoBike I once owned). Yes, there’s a different page here — the CR+ almost begs to be pushed on those kinds of rides. It is almost like a game to keep it in a boost mode and not go over it. 28mph just might be something of a human-powered-crest for speed and stability (for those who aren’t professional athletes). The last ride of the day was a simple one to get burritos. This was done after the sun went down and in concert with my Lumos Helmet. Was interested not only in the ability to do a trip I tend to avoid by car (going out for one thing only) and the ability to see and be seen. The CR+ comes with a headlight and taillight — both powered by the battery. Activating the light is a bit of a cludge (hold the “+” button for a few seconds), and the light’s intensity controller happens with a separate lever. Blinking, “low” beam, and “high” beam. Stated simply, the low is good for dawn/dusk, the blinky for partially cloudy days. But that high beam… woah. Defitnley was noticeable by the cars oncoming and following. Visibility was appreciated for such a small (2mi each way) trip. Even more so, that there was no sense of missing the road with the direction of the headlamp. About the only thing to be asked for here would be a brake light feature (if battery being used, trigger rear light to blink as soon as brakes are pulled). There something of a freedom in just getting on and it not taking as long or expending as much energy. Half expecting to be tired for the day; ended up feeling a good bit more energetic. This enablement is harder to convey with words… easier with a good sleep and increased weekly Move goal on the Apple Watch. On the last day of the rental, I did what was my usual workspace: I went to a café to do the creative/social ends of work, and then came home halfway through the day to reset and get back into a quieter flow. The CR+ gave probably one of the bigger shocks in going to the cafe. It was as fast as driving. Now, the cafe is a 1.25mi bike ride, which is about 3–5min in a car. By car, the average speed is probably about 35. There’s a 45mph section to start, a middle section where it drops to 35mph, and then Main St. and the cafe where it’s 25mph. The CR+ did a consistent 20mph+ the entire ride. Uphill to start, there was no drop-off in speed to crest the hill. There is only one stoplight to worry about and it was green. I basically rolled, and rolled quickly. So quickly in fact that I was kind of disappointed the ride was over so quickly. After a meal, some work, and a nice covno with a fellow cyclist, I got back on the CR+ to do the same ride home. This ride is actually harder because it is actually uphill for about 3/4 a mile — it usually takes me about 8min on my hybrid/gravel bike to do this; about 9–10min on my folding bike. I expected to be tired. It took 5–6min, and as with the morning, I was deflated because I didn’t use so much energy to return home. After the rain ceased, the final ride was the 6+mi ride to return the CR+ to RacePace. I took advantage of the sturdy build to once again toss the pannier on (and the charger which needed to also be returned) and set off for the greenway. Getting up to speed in the street section (again, auto traffic is 45mph in the starting section) made things really easy. Once I got off that section and into the bike path, it was a breeze. Even with the number of people walking, running, with dogs, etc., the CR+ did quite well getting up to speed, but also not completely surprising people. The included bell helped yes, but the bike itself stood out against the late-afternoon breaking sunlight. Realizing there was plenty of time before needing to return the CR+, I stopped at a local lake for some photography moments. The CR+ is really is an accessible bicycle from an appearance point of view. Others positively remarked about the size of the tires, the included fenders/mudguards, and the well-integrated lighting. Though it was a smaller frame than what I was used to, I liked its lines as well. The seat was a bit hard for a daily commute, but perfect for the longer rides. The removable rack was great, and the taillight working with and without the rack being attached was a neat touch I wish more bicycles with included lighting would consider. There was a sizable smile on my face when I returned the CR+. 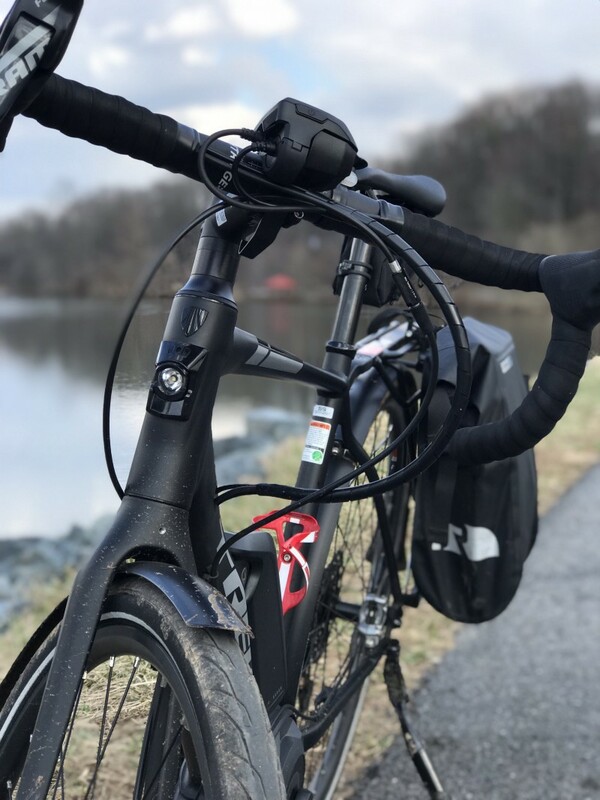 I came away convinced that eBikes are possible for some, and challenging for others. I was left to contemplate what it would mean for me to have an eBike. Would it be in addition to the three bikes I own currently? Would it replace one of them? 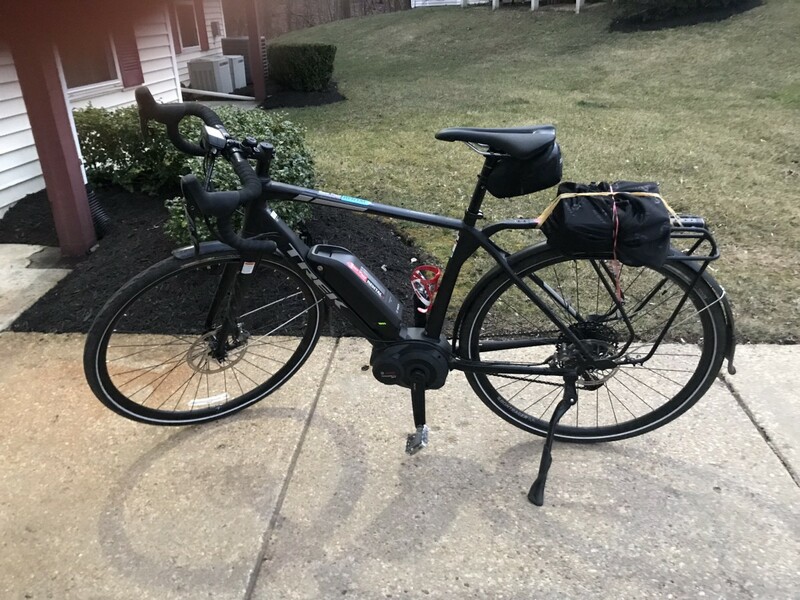 Would it replace my car, and if so, how would I handle the trips that are just a little further outside a biking radius in distance or time of day? I came away excited at these and several other questions. And appreciative of the CR+ — Trek did quite well with this bicycle. And more people should take advantage of their local bike shops’ rental services to see if an eBike (or any other kind of bike) has a place in a weekend, daily, or hobbyist mode. Didn’t expect this to be as long. There are moments in writing impressions like these where you don’t want to overstate or understate something you only get a few days with. When doing mobile device product reviews in the past, I had to be honest with the audience that the review is really an impression. 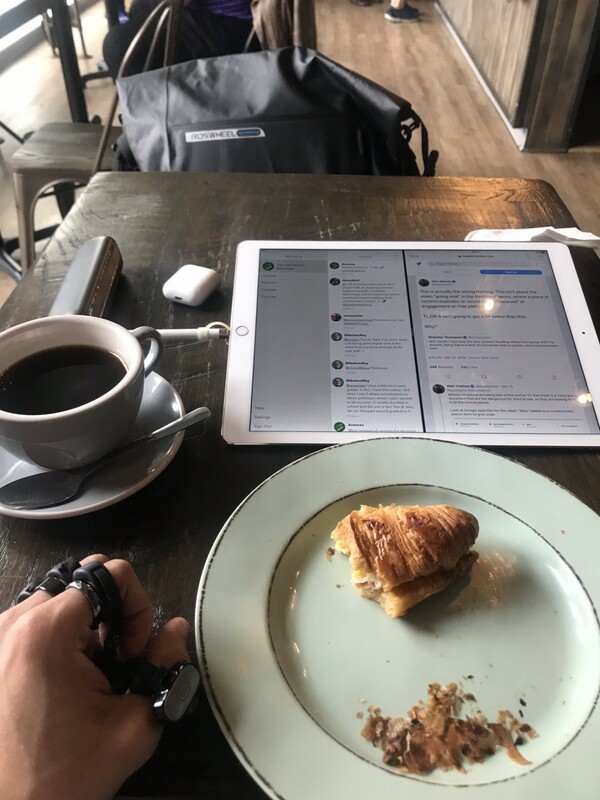 A snapshot in time of probably the best state of that device or service, and the reviewer’s ability to contextualize it beyond your lens is what’s being listened for. Same thing here, my context isn’t like others’ — as a matter of fact, it’s that mine is different that it was worth renting the CrossRip+ and writing these impressions. Much about eBikes are written and videoed from a fairly common lens. This was hopefully a bit different. Where am I at this point? Well, I’m very close to letting go of my car. There are matters of car rentals, ride-sharing, train travel, etc. that I need to understand. There’s also a push I’d like to see/instigate to transit agencies and advocates alike that there’s an “aspirational perspective” attached to the automobile that a bicycle just isn’t going to capture. Add into that, the issues with safety, safe spaces, and monitoring which happen more to persons of my complexion regardless of how we come into a retail establishment — looking less like a courier and more like an “everyday cyclist” is to be understood clearly even in changes like these. But, I’m no stranger to sticking my head out there and figuring out something. And if it works for me, then I’ll be able to continue creating new experiences, empowering others to be their best selves, and teaching the lessons I learn along the way. And if it doesn’t work — well, I’ll be doing the same thing, just with a car deed attached. The power of an eBike is that it gives you awareness of a superpower you didn’t realize you had before. Scooters are inviting the memory of a kind of freedom and fun. Traditional bicycles invite a fitness and relaxed approach to one’s moments. These eBikes are just a bit different. It is almost as if they are inviting you to question what transportation really means? Does it mean getting to work? Or, does it mean enjoying your place in making the world work? Kind of neat to consider these; kind of neat to have had a weekend to explore what might be a larger change than we expect. I welcome comments and recommendations. If you are a company looking for a different view on cycling and transportation, get in touch — variety of voices may be what energizes your opportunities forward.